In late 2012, a mom, a teacher, and a waitress gathered in a small Philadelphia apartment specifically to hear what their voices might sound like when joined together in three part harmony. By the end of the night, Maren Sharrow, Jess McDowell, and Meaghan Kyle knew they had something special in the effortless way their three very different voices blended together in a harmony that was both timeless and exciting. No Good Sister was born. 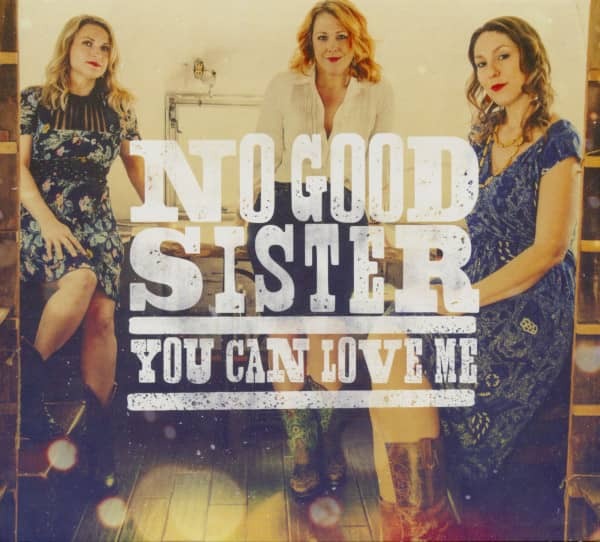 In the spring of 2017, No Good Sister released their debut full-length studio album, You Can Love Me, which was entirely funded through a successful Kickstarter campaign. Mike "Slo-mo" Brenner (The Low Road, Marah, Magnolia Electric Co), pulls double duty as producer and lap steel player. The album features musicians from some of Philly's favorite bands: Get the Led Out, John Train, West Philadelphia Orchestra, The Roddenberries, and more. 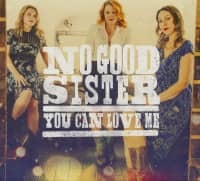 The album is entirely original music written by the three ladies of No Good Sister. Meaghan Kyle, originally from Maryland, started performing professionally in her teens as a musical theatre actress, and pursued that career through her young adult years. Life landed her in Philadelphia where performing in theatre tapered off and singing harmony with local songwriters (Shane Dodd, Christie Lenée) took center stage. While balancing a waitressing job at a high end restaurant during the day, it was singing with Philadelphia folk collective, A Fistful of Sugar, where Meaghan met Bucks County, PA native, Jess McDowell. Jess had been singing harmony, honing her guitar chops and building her repertoire from making her rounds in the bluegrass & folk festival circuits. She met the fine folks of A Fistful of Sugar while working as a preschool teacher by day, and by night, she sang in various local groups (backing Brad Hinton, and as one half of the folk duo, Jessie James). Kyle and McDowell were paired together in a car while on a tour of New England with AFoS, and very quickly formed a musical bond. The trip inspired them to create a band that would take them from the background to the spotlight while still being able to sing the harmony that they so enjoyed creating together. Itching for a third voice, Meaghan invited Maren Sharrow, a bartender she met at her neighborhood watering hole, over to meet Jess and all sing together. Maren had moved to Philly in 2008 from Detroit, MI, where she learned to play guitar and began writing songs while singing backup vocals for local bands. Maren juggles being a No Good Sister with being a very good mom to two energetic boys under the age of 6. Within the first month of forming, the trio won an open mic competition at World Cafe Live at The Queen in Wilmington, DE, which ultimately led them to being named the Standout Performer of 2013, with a prize package that included the recording of their three song, self-titled EP (released in 2014), and a spot in the Hearo.fm's 2014 SXSW showcase. Their timeless three-part harmonies and dynamic songwriting have earned them a coveted Quad Showcase at the 2014 North East Regional Folk Alliance, the Best New Artist 93.7 WSTW-FM's Hometown Heroes Award, were named the 2015 Artist to Watch by Ticket to Entertainment, and won the 93.7 WSTW-FM's Wilmington Flower Market Battle of the Bands Grand Prize. 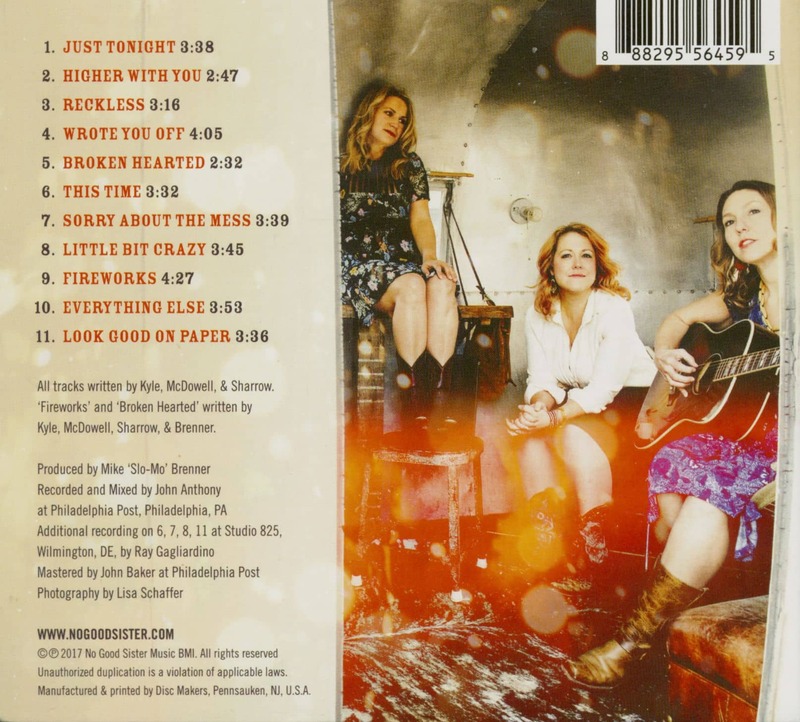 In 2015, No Good Sister played on the Martin Guitar Main Stage at the 54th Philadelphia Folk Festival, preceding Arlo Guthrie, Parker Milsap and Shakey Graves. They have performed at storied venues up and down the Northeast, The Bitter End (NYC), Club Passim (Boston), and headline regularly in Philadelphia and surrounding area clubs, venues, and festivals, and have opened for national headliners, The Steeldrivers, Eilen Jewell, The Kruger Brothers, and Kim Richey. The ladies have performed live in-studio multiple times on-air programs such as The Folk Show with Gene Shay and later Ian Zolitor (88.5 WXPN-FM), The Key with John Vettese (WXPN), Live at the Kelly Writer's House with Michaela Majoun (WXPN), Like a Version with Dan Reed (WXPN), Radio Nowhere with Joltin' Joe (90.3 WMSC-FM), Hometown Heroes with Mark Rogers (93.7 WSTW-FM), Ocean 98.1 (WOCM-FM), to name just a few. No Good Sister's album, You Can Love Me, Can be heard on radio stations all across the country and can be found on Billboard's Americana charts. Kundenbewertungen für "You Can Love Me (CD)"